The New York Times has called the music of Mercury Rev "a free associative castle in the air, with every detail shimmering." On 'Snowflake Midnight,' (September 30/Yep Roc Records) the group's first proper album in nearly four years, they tear the castle down. Recorded over several months in late 2007/early 2008, and co-produced by David Fridmann and Mercury Rev (who remain Jonathan Donahue, Grasshopper, and Jeff Mercel), the nine new songs on 'Snowflake Midnight' mark a significant conceptual shift for the band. If its last landmark release - 1998's 'Deserter's Songs' - signaled a reinvention, then 'Snowflake Midnight' is a reboot. 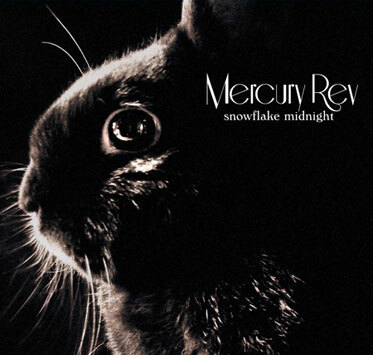 In a sense, Mercury Rev had to "unlearn" twenty years of experience to make 'Snowflake.' "We wanted to let go of familiar and comfortable ideas of sound and ways of working," says Mercel. Traditional instruments were abandoned for vintage and cutting edge electronics. Songs weren't written so much as they evolved. Order was abandoned, and happenstance was embraced, resulting in one of the most fertile creative outpourings in the band's history. Every song included on 'Snowflake' was edited, manipulated and distilled from hours of recorded material. At the behest of curators My Bloody Valentine, Mercury Rev will play the All Tomorrow's Parties festival in Catskills, NY on Sept 21. Additional U.S. tour dates will follow this fall. Stay tuned for more information.